Communist Party of India (CPI) national secretary D. Raja and Samajwadi Party (SP) MP Naresh Agarwal on Monday gave adjournment motion notice in the Rajya Sabha over Punjab National Bank fraud (PNB) case. 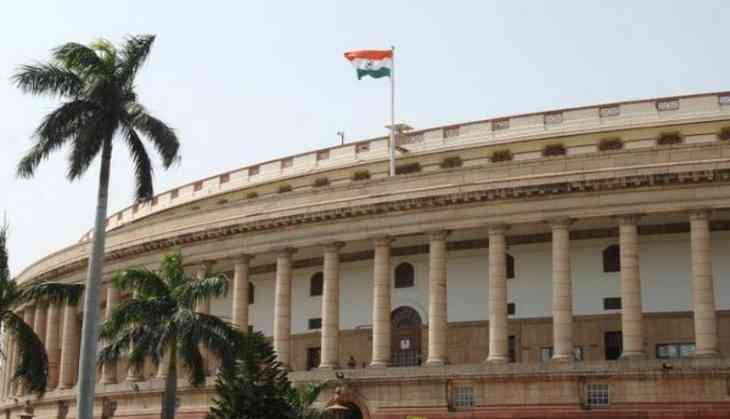 Meanwhile, the Bharatiya Janata Party (BJP) MP Vinay Sahasrabuddhe has moved an adjournment motion in the Upper House under rule 267 on 'reports of corrupt practices indulged in by relatives of former ministers under tacit protection by ministers'. As the second part of the Budget session resumes today, the Opposition parties are likely to corner the Prime Minister Narendra Modi-led government on recently unearthed banking scams. Apart from this, the arrest of Karti Chidambaram in connection with INX media case is also likely to be raked up in Parliament. Both houses of Parliament will meet after a month-long break in the Budget Session today. Meanwhile, Fugitive Economic Offenders Bill and the triple talaq bill will be high on the government's agenda. On March 1, the Prime Minister Modi-led Union cabinet approved the proposal to introduce the offenders' bill 2018 in the Parliament.